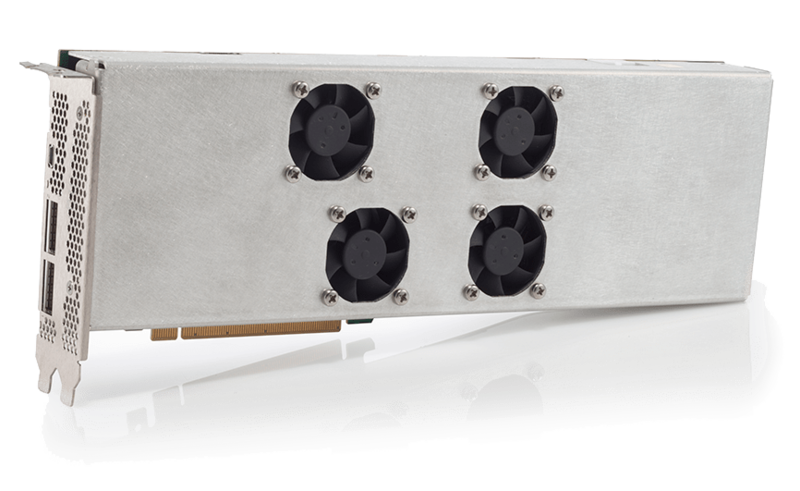 ConnectX-4 provides exceptional high performance for the most demanding data centers, public and private clouds, Web2.0 and Big Data applications, as well as High-Performance Computing (HPC) and Storage systems, enabling today’s corporations to meet the demands of the data explosion. Connect-IB adapter cards provide the highest performing and most scalable interconnect solution for server and storage systems. High- Performance Computing, Web 2.0, Cloud, Big Data, Financial Services, Virtualized Data Centers and Storage applications will achieve significant performance improvements resulting in reduced completion time and lower cost per operation. 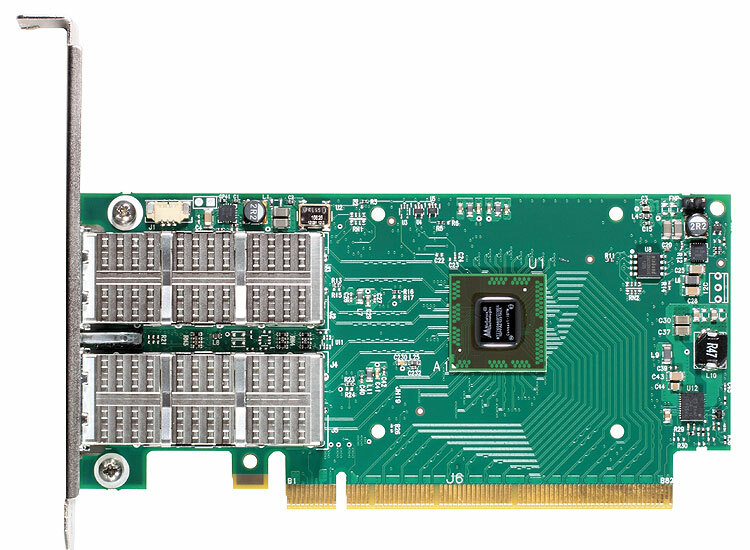 Mellanox programmable adapters provide users with the capability to program an attached FPGA to the ConnectX-3 Pro network adapter device, taking advanatage of ConnectX-3 Pro enhanced application acceleration and high speed network. 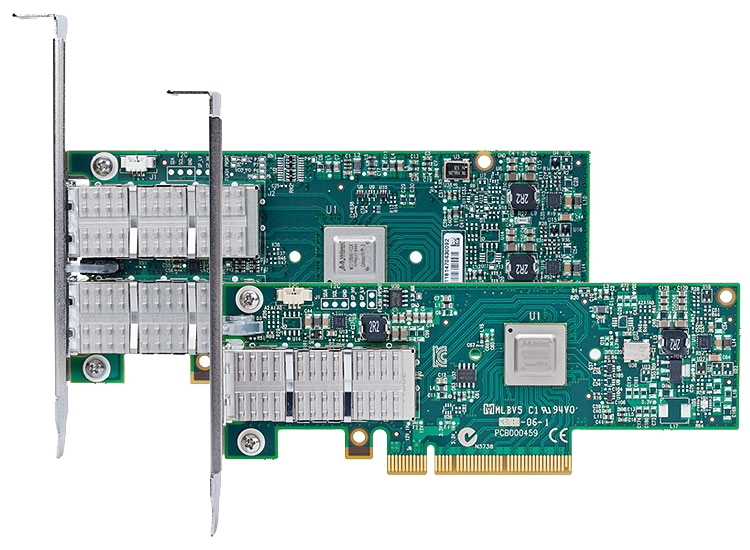 Programmable ConnectX-3 Pro VPI adapter cards support InfiniBand and Ethernet connectivity with hardware offload engines. 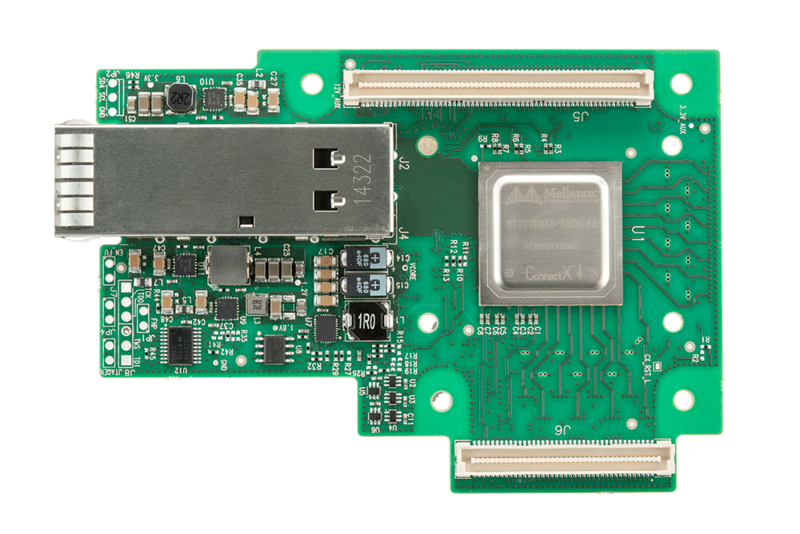 The attached FPGA and memory are accessible through the PCI Express Gen 3 interface or the network interface for full flexibility. 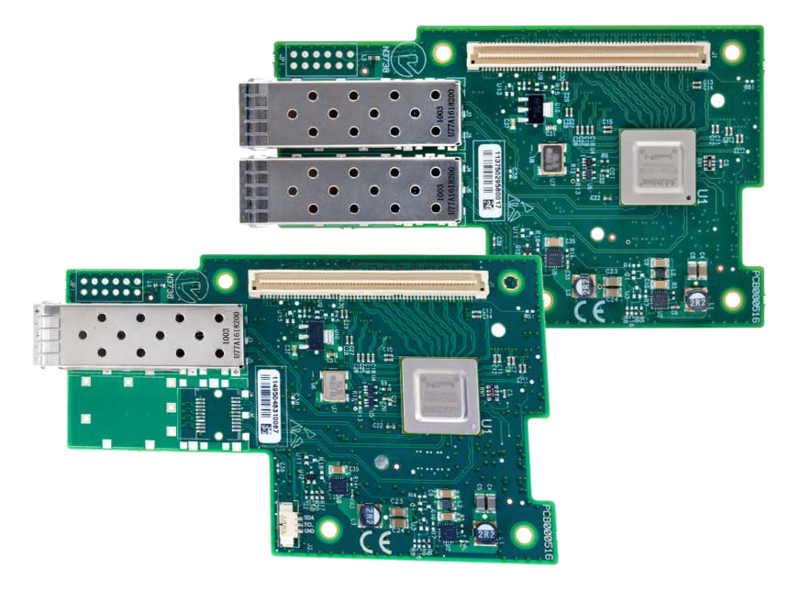 Mellanox programmable adapters can deliver the competitive advantage to companies and users using public and private clouds, telecom and enterprise data centers, high performance computing and more. Modern data centers, public and private clouds, Web 2.0 infrastructures, telecommunication, and high-performance computing require to achieve highest performance and maximum flexibility which result in reduced completion time and lower cost per operation. Programmable ConnectX-3 Pro VPI Adapter simplifies system development by serving multiple fabrics with one hardware design. The Open Compute Project (OCP) mission is to develop and specify the most cost-efficient, energy-efficient and scalable enterprise and Web 2.0 data centers. 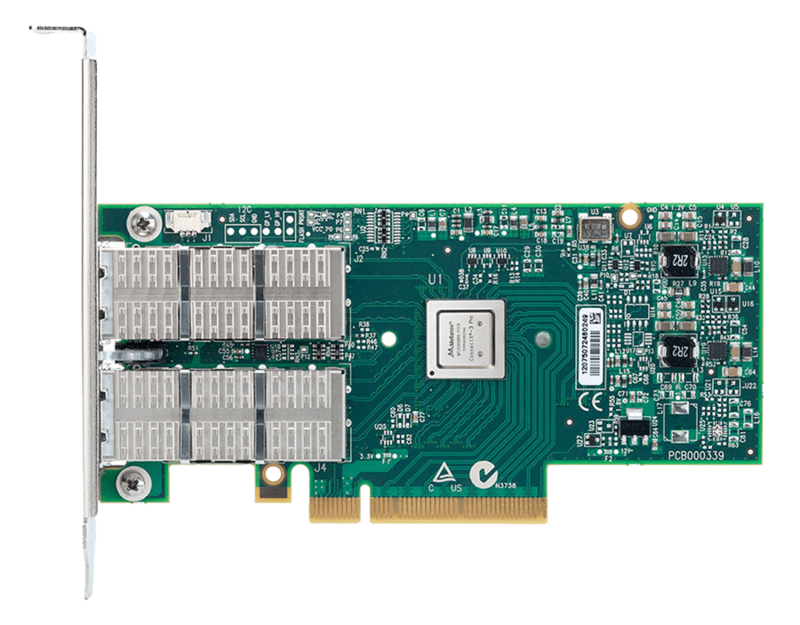 Mellanox ConnectX-3 Pro VPI adapter card delivers leading InfiniBand and Ethernet connectivity for performance-driven server and storage applications in Web 2.0, Enterprise Data Centers and Cloud environments. The OCP Mezzanine adapter form factor is designed to mate into OCP servers. The Open Compute Project (OCP) mission is to develop and specify the most cost-efficient, energy-efficient and scalable enterprise and Web 2.0 data centers. 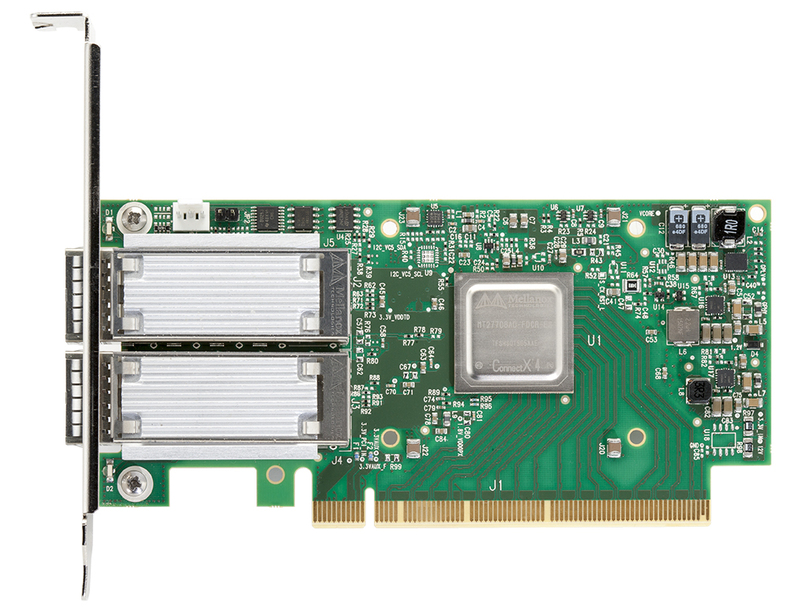 Mellanox ConnectX-4 EN OCP adapter card delivers leading Ethernet connectivity for performance-driven server and storage applications in Web 2.0, Enterprise Data Centers and Cloud environments. The OCP Mezzanine adapter form factor is designed to mate into OCP servers. ConnectX-4 Lx EN Network Controller with 10/25/40/50Gb/s Ethernet connectivity addresses virtualized infrastructure challenges, delivering best-in-class and highest performance to various demanding markets and applications. 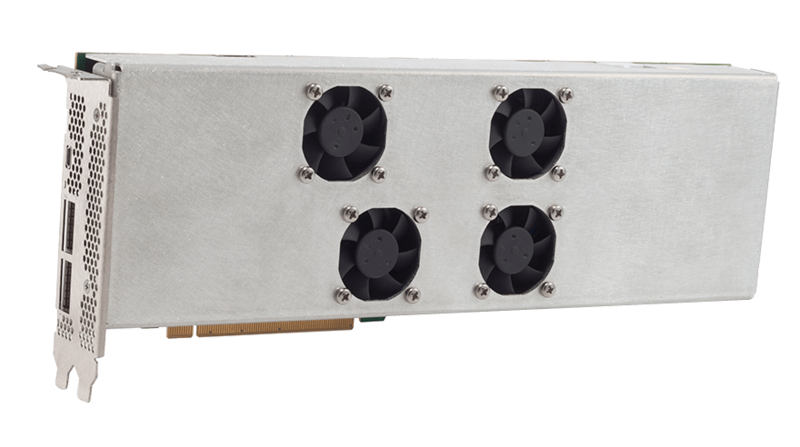 Providing true hardware-based I/O isolation with unmatched scalability and efficiency, achieving the most cost-effective and flexible solution for Web 2.0, Cloud, data analytics, database, and storage platforms. ConnectX-4 Lx EN provides an unmatched combination of 10, 25, 40, and 50GbE bandwidth, sub-microsecond latency and a 75 million packets per second message rate. 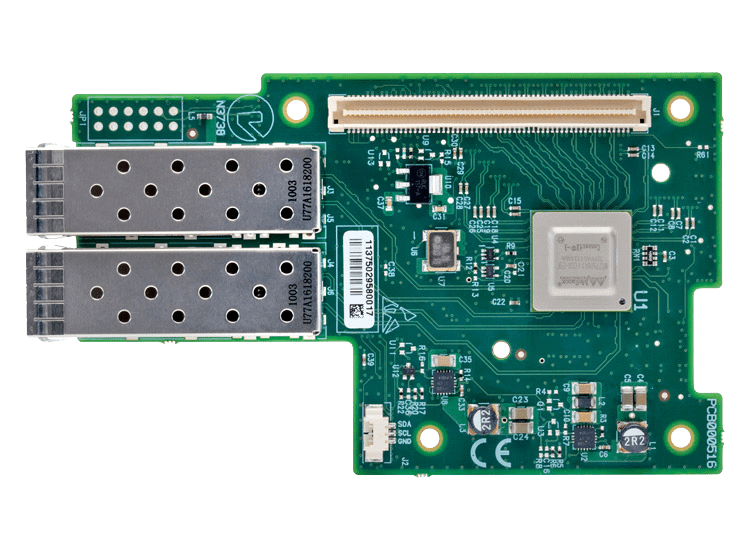 It includes native hardware support for RDMA over Converged Ethernet, Ethernet stateless offload engines, Overlay Networks,and GPUDirect® Technology. ConnectX-4 Lx EN Network Controller with 10/25/40/50 Gb/s Ethernet interface delivers high-bandwidth, low latency and industry-leading Ethernet connectivity for Open Compute Project (OCP) server and storage applications in Web 2.0, Enterprise Data Centers and Cloud infrastructure. Moreover, ConnectX-4 Lx EN introduces the new Multi-Host technology, which enables a new innovative rack design that achieves maximum CAPEX and OPEX savings without compromising on network performance. 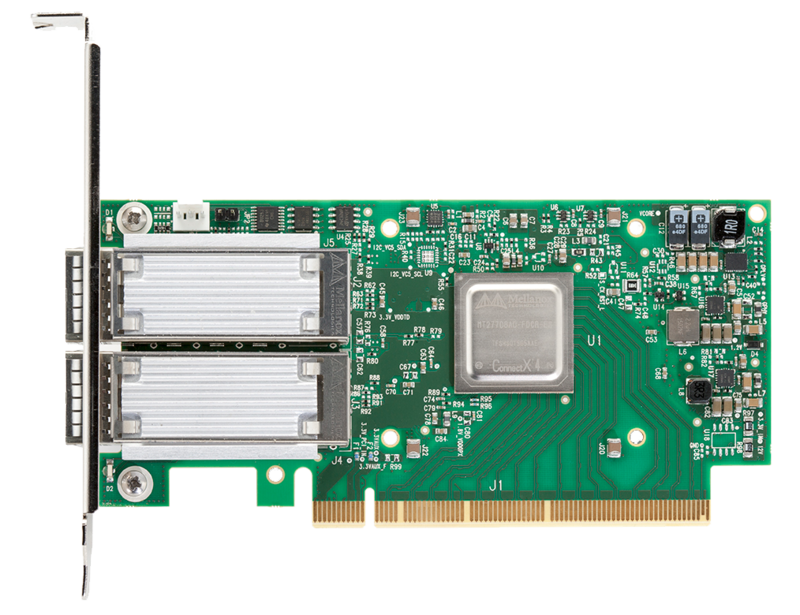 Mellanox programmable adapters provide users with the capability to program an FPGA attached to the ConnectX-3 Pro network adapter device, taking advantage of ConnectX-3 Pro enhanced application acceleration and high speed network. ConnectX-3 Pro EN 10/40/56GbE adapter cards with hardware offload engines for Overlay Networks („Tunneling”) provide the highest performing and most flexible interconnect solution for PCI Express Gen3 servers used in public and private clouds, enterprise data centers, and high performance computing. The Open Compute Project (OCP) mission is to develop and specify the most cost-efficient, energy-efficient and scalable enterprise and Web 2.0 data centers. 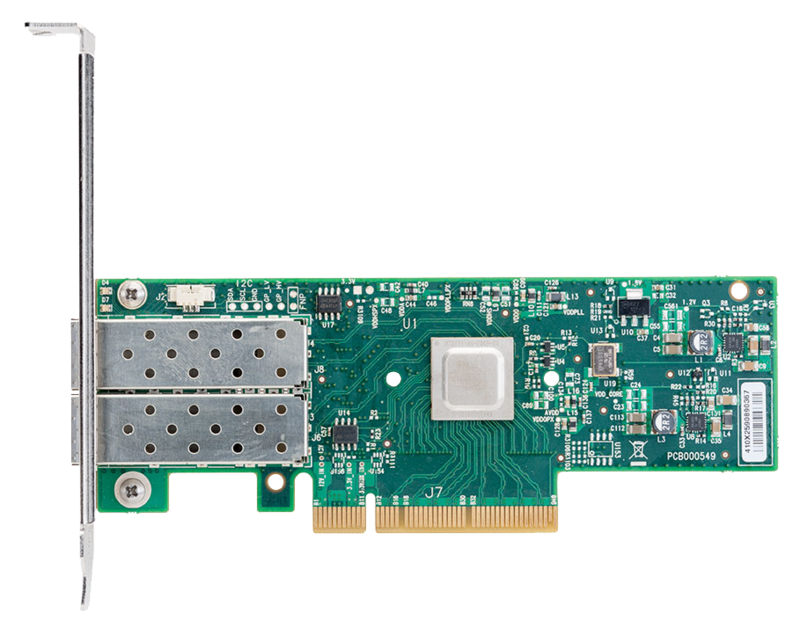 Mellanox ConnectX-3 EN 10GbE Open Compute Mezzanine adapter card delivers leading Ethernet connectivity for performance-driven server and storage applications in Web 2.0, Enterprise Data Centers and Cloud environments. The OCP Mezzanine adapter form factor is designed to mate into OCP servers.